The most known fact in the history of Black Metal is without question the murder of Euronymous (stage name for Øystein Aarseth, guitarist, co-founder of Mayhem and central figure in the Norwegian Black Metal scene) by Varg Vikernes (stage name – among others – Count Grishnackh, Norwegian musician and writer, member of Mayhem, founder of the one-man music project Burzum – “one of the most influential black metal acts”) in 1993. That fact combined with the arson attacks on christian churches, brought the whole world to a state of shock. The public eye was set on Norway. There are many stories about that day and the motive of Varg. Who can say where the truth lies though? The story starts the same way as every story. In the beginning, everything was well. 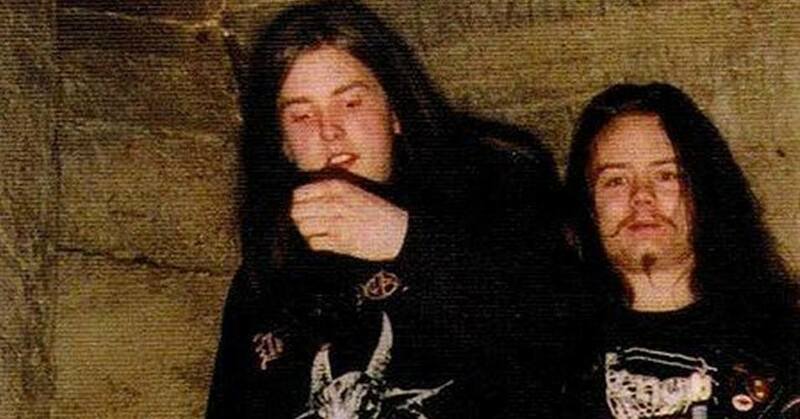 There were no bad feelings between Euronymous and Varg. Actually, Euronymous had taken Varg under his wing, releasing Varg’s music as Burzum under his record label, Deathlike Silence Productions. All that started to change however, when Varg decided to leave Euronymous’s record company. Apparently, Euronymous, not being a model businessman, didn’t have the money required to cut the record and promote it. So, he asked Varg for it. Then again, when the album was sold out, he couldn’t afford to print any more copies of it. As a result, Varg was frustrated, and started thinking about making his own company, which, of course, made Euronymous furious. As time was passing by, the Black Metal movement was getting stronger and stronger. The prestige of bands such as Mayhem, Burzum and Darkthrone was getting higher, to the point of actual idolization of their front-men. Still, no one enjoyed the status of Euronymous. He was cultivating an image of the most extreme personality in the Black Metal scene for himself. In that sense, he let imply that he was behind all extremities that were taking place (christian church arson among others). Not only Varg, but also others, knew that this was not his true nature. One day Varg confronted him and questioned his attitude. He challenged him to actually act instead of just cultivating such an image. Understandably, this only made matters worse between Euronymous and Varg. Sometime later, Euronymous decided to try to promote his record label in order to attract more customers. He decided that an interview would be the best strategy for promotion. Not wanting to draw attention to his face, he asked Varg to do it. Varg decided to do it for his own reasons. He was frustrated that the supposedly rebellious and critical to the world Black Metal did not differ from mainstream genres. With the opportunity of the interview he tried to shake things up, and force a change to the mentality of Black Metalheads. In that respect, Vikernes arranged an anonymous interview. In the infamous interview Varg talks about the arson of christian churches. He also talks about the murder of a homosexual man by Faust of Emperor (Bård Guldvik “Faust” Eithun, Norwegian drummer). The journalist, though, had his own agenda: he had in mind to reveal the existence of organized satanists in Norway. The interview gave him the opportunity to draw information he needed to do so – but not without twisting it. Twisting the information came to the point of incriminating Vikernes for supposedly wanting to kill his parents, and for the arson. After the interview the journalist communicated with the police, and Varg Vikernes got arrested. The interview got published and, as a result, Euronymous and Helvete attracted too much bad publicity. Euronymous could not handle it. He therefore decided to close the shop. However, the after effect of the interview did not stop there for Euronymous. His parents became frustrated, as they had the image of “good son” for him, which Euronymous had cultivated in the first place. They also had the same idea for his friends, who now seemed to be partners in crime with him. As Vikernes states, Euronymous, in an attempt to restore his image, arranged another interview in a newspaper. During that interview, he directed an apology to the community on behalf of the people of Black Metal. Sadly for him, the interview did not bring about the effects that he was hoping for. Euronymous became not only a laughing stock (his appearance at the interview wearing a white t-shirt being the deathblow) – he became despicable to the eyes of Black Metalheads. They did not feel he was speaking for them – they actually felt they had nothing to apologize for. Ironically, Euronymous had finally gotten the attention he was longing for, but not quite in the way he wanted it. All of this attention, however, came to an end with the release of Varg from prison. Varg’s release brought him to the center of attention. That fueled Euronymous`s negative feelings towards him even more, because, to his mind, Vikernes had commercialized Helvete and Black Metal. In that sense, Vikernes had shattered all Euronymous’s ambitions. Seemingly, what Euronymous really wanted was to create an order with Black Metal fans as members and him as a leader. This group would be rather like the Hell`s Angels, only secret to the public. Naturally, with the shift of attention in favour of Vikernes and the feeling of disfavouritism that was directed towards him in contrast to Vikernes, this did not seem likely. This was a breaking point for Euronymous: it was at that time when he decided that Varg should be removed. He then started to make plans on how he would achieve that. Unfortunately for Euronymous, Varg found out about his plans soon enough by chance. As mentioned before, Euronymous was in essence a castaway as a result of his interview. Even his band-mates were avoiding him, not letting him in their house when he was in town. However, Euronymous decided one day to call Mayhem`s second guitarist, Snorre “Blackthorn” Ruch and let him in on his plans. Varg was at that time with Snorre in the house. He had the chance to listen to the whole conversation on Snorre`s phone, as Euronymous was presenting his plan. Apparently, he first intended to hit Varg with an electric shock pistol (same type that security guards have). He would then tie him onto a tree, torture him and eventually kill him. In the meantime, he would film the process (the last part not being surprising, as Euronymous was a fan of snuff movies). The pretext he would use to get him near would be a meeting to sign up Burzum to his record company. When Varg became aware of this plan, he decided to act on it, and try to make Euronymous reconsider. He would pay him a surprise visit, so that Euronymous wouldn’t have time to set up his trap. The purpose of that visit would be to sign the contract. Snorre thought that this was a good idea and decided to join Varg on this trip. When Varg arrived at Euronymous`s house, Euronymous was indeed surprised – he was only wearing underwear when he answered the door. Things got out of hand straight away. As soon as Euronymous invited Varg in, he kicked him in the chest and threw him down on the floor. 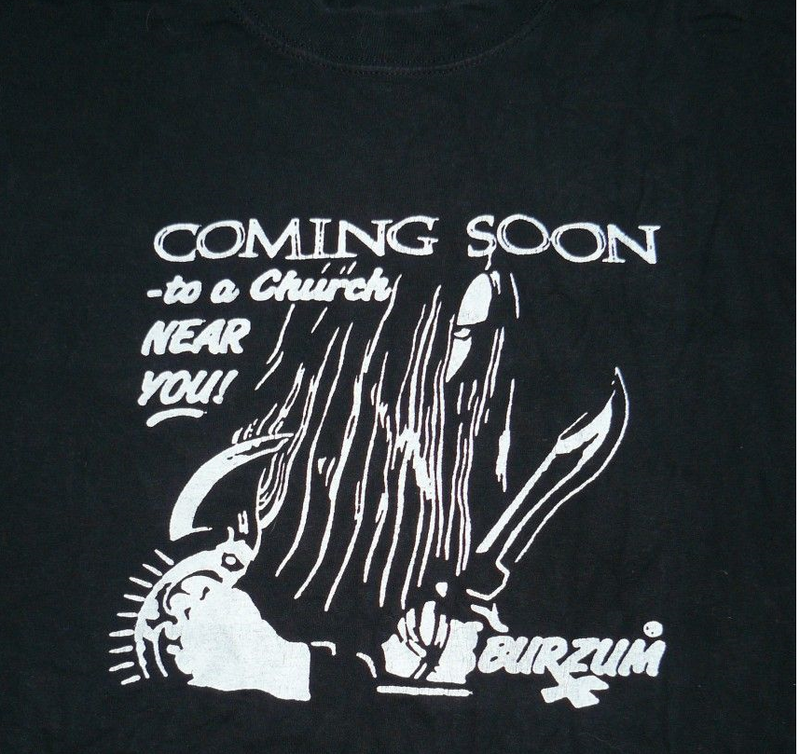 When Varg got up, Euronymous was already heading towards the kitchen to take a knife. Still, Varg took out of his pocket his own pocket knife and blocked his way. Then Euronymous seemed to head to his bedroom, where Varg knew he used to keep the shotgun and the guns he had. So Varg followed him. However, Euronymous was actually going downstairs, to ultimately head out. In retrospect, Euronumous’s attempt to leave makes sense, since it was later found that he did not have guns in his bedroom. Without allowing him time to leave the house, Varg threw Euronymous down. Varg then waited for Snorre’s move, who had already entered the house by then, presuming that he was Euronymous’s accomplice. Snorre, on the other hand, fled as soon as he saw all what was going on. Understandably, that made Varg realize he was not a part of it. 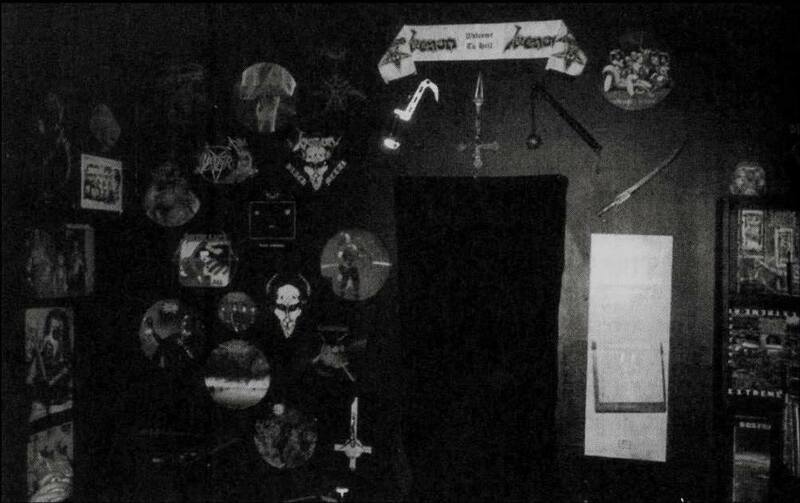 Subsequently, Euronymous got up covered in blood and pieces of the wall lamp he smashed with his body while falling down before, and attacked Varg again. Varg reciprocated by stabbing him in the head. As a result, Euronymous died immediately. Still, Varg stabbed him one more time in the head, five to the neck and sixteen in the back. After the murder, Varg went out of the house, took back his car keys from Snorre, and drove back home. Vikernes got later arrested and stood trial together with Snorre and Faust at the same time. As a result, he got convicted to 21 years in prison (Norway’s maximum penalty) for the murder of Euronymous, the arson of three churches, the attempted arson of a fourth church, and for the theft and storage of 150kg of explosives, while he had only confessed to the theft and storage of the explosives. As commented by Varg himself, the judge was proud for that verdict, because she wanted to send out a message with that sentence. 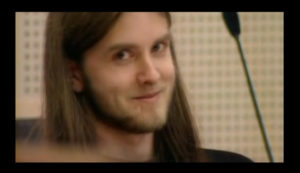 What she surely got in return from Varg himself was his infamous smile towards the audience. These actions shocked the entire world and brought Black Metal onto a level of attention that nobody would ever imagine. Nobody can tell how one of the most extreme metal genres would have evolved today had these events never happened.  But one thing is certain and will NEVER change: BLACK METAL IST KRIEG!!! !